copyright© 2009 Map the Soul inc.
Epik High is a South Korean indie hip hop group from Seoul, South Korea. 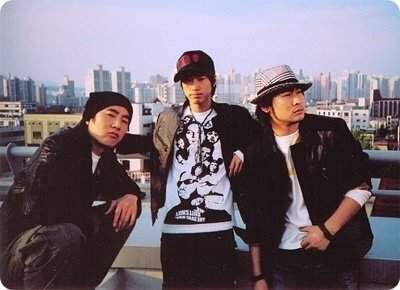 The group is composed of Tablo, Mithra Jin and DJ Tukutz. Epik High were unknown in Korea due to Hip Hop not being as popular as other music trends in and around 2003 ,even though it is their first album in the West that has got them noticed ''Map of the Human Soul'' it was not till the release of their second album High Society that got them noticed and then their third album''Swan Songs '' became a major player in the mainstream Korean Music scene with many hits from the album. Here we are looking at their 6th album released just before Christmas called (e)' .This was produced just before member DJ Tukutz had to do his mandatory military service for two years .There is a 7th album in the process made up from some other tracks they had which will be reviewed at later date. 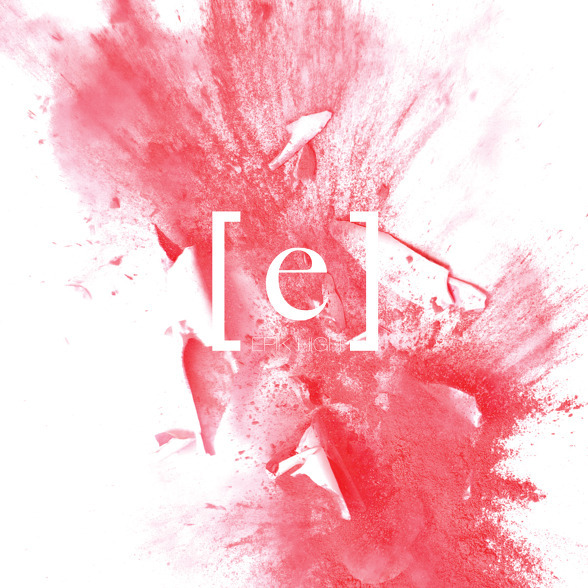 (e) is a double CD album consisting of 30 tracks that have a mini book to compliment it.Each CD consists of some of the most original music i have heard in a long time .one CD concentrating on a mellow soft theme and the other On a more upbeat energetic stance.The one thing with Epik High is the way they experiment with music to get their sound and feel and it's this that makes them stand out from a lot of other players .Featuring not just Hip Hop but music from many genre's they twist and meld alternating genre's within each other creating some absolute mind blowing tracks . The first CD will completely mellow you out with it's soft and gentle themes while the 2nd Cd will get you up and and moving with passion. I think if you like alternative music and are willing to try something new then these three guys have it all.If your already in to hip hop you may want to look at these guys and see what you have been missing ,but then if your in to hip hop you should already know them as they are part The Movement a Korean Hip Hop crew which include many well known hip hop artists. Stand out tracks that grab hold of you are the Brilliant '''No more Christmas '' and the Micheal Jackson inspired ''Moonwalker'' Then with the track ''Slow Motion'' if alien robots where attacking the world this would be the sounds you would here prior to their arrival. Maze is a brilliant rap sung in English ,this should get airplay over here as it would sell by the bucket load. And ''Trot'' is associated with Korean Trot music but has a very Eastern European feel to me.It reminds me of Dancing round a campfire as if i was a Cossack or someone. And this is just the first Cd and it continues with the 2nd and the excellent 'Wannabe' and the top gangster sounding ''Sensitive Thug''. A top album no one should miss. Kwon Ji-Yong (born August 18, 1988), better known by his stage name G-Dragon , is a South Korean singer and songer-writer.Who has been a trainee at YGE for some six years also being one of the two rap stars of Korean boy band BIG BANG ,he is also responsible for writing some of the songs on their albums . 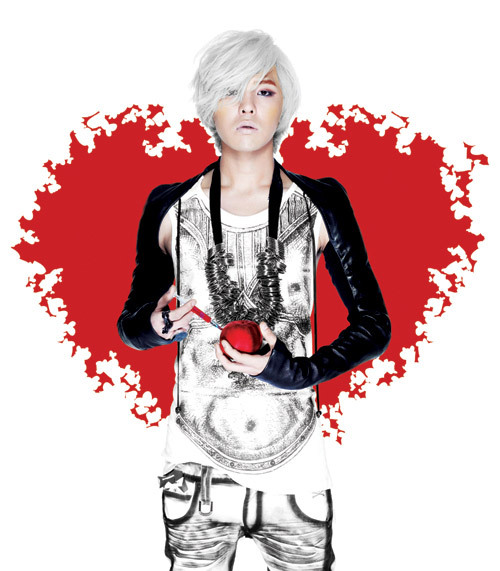 In 2009 G-Dragon released his first solo album ,which went on to be one of Korea's highest selling albums ,but not without problems Sony accused G Dragon of plagiarism in that two of his tracks Heartbreaker (the album title) and Butterfly bore more then similarities to Flo Riders ''Right Round and Oasis's ''She's Electric''. So this is G Dragon and his first album has sparked rifts in the industry 'what a great bit of promotion i say (it can only sell albums) and that's what it should do as this is one of the most exciting and joyful albums i have heard in a long time . 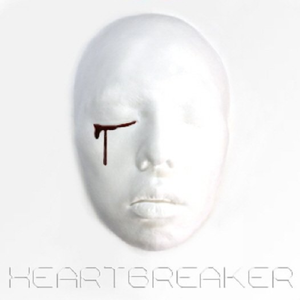 So if you buy a lot of music ,then this is one album you should not miss ,right from the the beginning there's a uplifting sound that can only brighten your day ,the Brilliant 'Heartbreaker' is a joy to listen to and the top sounding 'Breathe' which follows sets you up for this great album ,yes some of the tracks might sound similar to other songs ,but don't some songs somewhere do the same ,how many times do you buy a new album put it on go to yourself ''i have heard this?. With great Rapping talent ,you can not fault this guy,who sings most of his songs in Korean with snippets of English ,which makes them a bit more universal to the world (clever also ,this will sell more albums to annoy Sony). Four of the tracks have been released as singles ,namely 'A BOY' Heartbreaker' Breathe and Butterfly.The first three being up beat dance tracks while Butterfly is a mellow chill out song with nice acoustics and wind instruments in the background. All i know this is one of those albums that will have you bopping about your house in your car or where ever you may be . I look forward to the next one .Marvelous. *On a other note ,once again the packaging on this is marvelous (though getting in to it is hard) the album comes packaged in a 3D mask in a box which contains a book and the CD ,though it may not fit in your CD rack it does look cool. 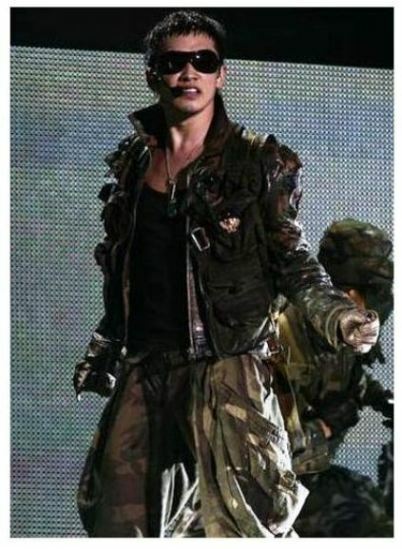 Rain Bi is a Korean singer who has released a number of albums 'this is his fourth( his latest no'5 will be reviewed in the near future.In total he has released six albums 5 Korean and one in Japanese. He has also starred in the film ''I'm a Cyborg but That's OK '' and has been in two American films ,the first being the kids film Speed Racer from 2008.and the next being Ninja Assassin yet to be released and directed by James McTeigue and produced by Joel Silver and the Wachowski Brothers.Any how this was the last album Rain made under the JYP label .Below is the track list comprising 14 tracks. With a very hip hop and RnB feel to his music ,the moment you put this on it has quite a theatrical feel to it with a opening intro track that leads on to one of his top singles 'I'm Coming which gives you a good feel for whats coming and entertainment it surely is. On to track 3 With U ,which is a soulful melody with some brilliant sounds and shows the power of his voice.Track 4 'In my Bed 'a beautiful ballad that's a great chill out song once again showcasing that voice. Track 5 'Not a Single DAY 'is one of those power type ballads with a uplifting feel it's music ( I love this Tune).CasioPeia no'6 is a duet ballad with a sad sound.Him and Me brings us to a Hip Hop feel again with a soulful overtone . ( it amazes me how nice Korean rap sounds to the western stuff ). Don't Stop ,track 8 and more then half way through we have this upbeat dance track that gets you tapping ,Quite cool !.Touch Ya our next track featuring K.A.C-Luv. is another Hip Hop treat with a good beat with a similar sound to ''I'm Coming''. Slowing Back down for the next track and'' Move On'' is another ballad with a really nice sound with a chorus in English. Hip Hop RnB is backs with ''Oh Yeah'' and this upbeat tune shows by now that this album is pretty top as by now most albums have had a low point in the middle . (not here though). Featuring Tiger JK ''Friends '' is a nice slow tune that could send you asleep 'in a good way though. Chill out in top form. Track 13 and coming to a close with ''To My Friends ''which is a instrumental interlude. Track 14 and closing with a hard Hip Hop dance track which Rain pulls off along with everything else on this album, and top marks to him.It's one of those albums that although 14 tracks is over far to quickly.Looks like i need to get on and listen to his next album .Check back soon for a review of that.But in the meantime This Rocks .The Snake . 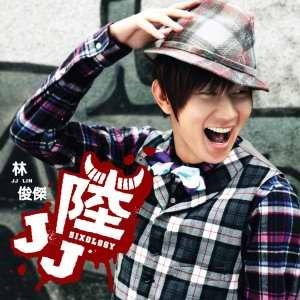 JJ Lin (Lin Jun Jie) is a Singaporean Chinese pop singer /Songwriter Who was Born in March 1981,and made his debut in 2003 with his first album Music Voyager.LinJun Jie was born in Singapore and graduated from Saint Andrews Junior Collage before Launching his Music Career in Taiwan.This is his Six album hence the title Sixology. The one thing i like about this guys music is his ability to change his style quite dramatically between albums (off the ones i have heard). With this album it's more laid-back with ballads but the odd more upbeat thrown in to keep you entertained throughout.But it's a a far-cry from his 2005 No'89757 album , which i kept playing for ever like. But this is very mellow but once again his soulful voice captivates ,and you have to realize i don't speak or understand Mandarin or Cantonese.Below is the track list and a video of JJ performing. So over all from the first track which is just JJ speaking in English as a intro,your then whisked right into a very upbeat tune with very funky soundtrack which encompasses a slight rap in-between,and the minute you hear this you know this is gonna be a good album(this is just a blinding tune -High Fashion) . Thing is it carries on with track 3 - Small dimple which is a slow ballad but very nice to listen too and it's a duet too with no other then Charlene Choi.On to Lord Vader which starts with a nice piano solo and a power ballad which really shows this man can sing. With the next track .Tale of the Red Cliff with it's traditional Chinese feel and film like quality's your taken on a adventure which grabs you along with the various instruments plucking your ears.Then we have the Choice is yours ,now where back to a more upbeat feel good song with a rap base and some nice sounds thrown in for good measure ,it's one of those songs you play in your car with the windows down blasting it to the world. With Always Online we come back to slow ballad with a good helping of English within the song. (nice tune very mellow)and once again that piano is there giving you some real feel to it. The streets is up next which is a very Techno sounding fast paced tune with lots of backing and some cool sounds in the instrument /synthesizer area.On to Centerstage with it's Eastern feel and heavy R&B /hip hop influence (very good though). Now with I STILL MISS HER where treated to a sad ballad with a nice guitar solo featuring throughout.Now Light the Torch (no'11) ia another slow ballad that really showcases JJ voice and a blinder it is.Then it's on to Waiting For Love ,which has a familiar sound to me ,is one of those power duet's ,it would fit in to a film quite easy. Now with Cries in A Distance (no'13) which is sung in English ,and for me being i understand every word shows how talented this guy is,(Another singer who needs to get worldwide exposure)Marvelous. On to the last' Love and Hope is another ballad which is once again very dramatic and sad sounding with that piano haunting you in the background along with what sounds like a children s choir. Now on this album i am reviewing where treated to a track 15 which is another version of track 3 'Dimples which is the duet . Then we have a separate DVD with two music video's on which are the Duet with Carlene Choi 'Dimples'.The other video is of Tale of Red Cliff .So that's a Bonus .All in all really nice album which deserves to be listened to at least once by all.Here's to the next one JJ. The Snake. Now before i get on with the Album here's a little about UTADA. 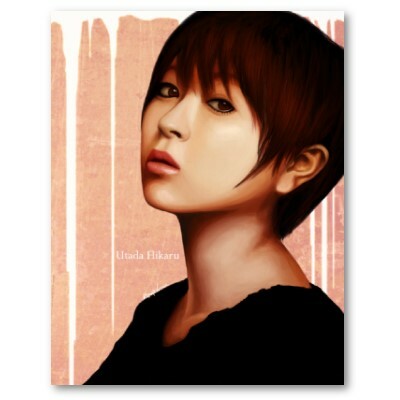 Utada Hikaru or Hikki as she is known to her fans is a Japanese Pop sensation who was born in the USA in 1983 . Her father is Teruzane Utada is a Record producer and her Mother Junko Utada was an Enka singer.Now Hikaru was educated in New York ,did her first recordings at the age of twelve with help from her mother within a band called U3 these were not successful for her even though her Dad was a big Japanese record producer and the fact that they did not release in the States .In 1996 she started her first solo project I'll be stronger under the artistic name of Cubic U this also failed to release in the States ,and it was the first song she had wrote and composed herself.In 1997 her next project a cover of the Carpenters song Close to you and then went on to do her album Precious which also failed to get released in the States as her Record company Capitol was under going restructure. She finally released Precious in 1998 in Japan and later relaesed it in March 1999.It has sold over 700'000 copies in Japan ,not bad for an album sung in English. Then in 1998 she moved to Japan and attended the Seisen International School and later on the American school in Japan. It was here that her success happened with a new contract with Toshiba /EMI and sticking to songwriting and composing as opposed to trying to be the latest in artist in an idealistic sense.She composed her first album FIRST LOVE and released two singles from this which went on to sell over a million each . Utada had arrived and what a brilliant piece of talent she is.You have most likely heard her sing but not known it ,if your into your computer games she did the songs for KINGDOM HEARTS Simple and Clean and Sanctuary.Since then she has sold millions and is Japans biggest Music Star.But now she has made a 2nd English language album 'This is the One' which was recently released in the States and mind blowing it is here you have an album which this 26 year old has Composed and written and sing and she also plays the Piano and Guitar. Uploaded by NTDAsiaBrief. - Watch the latest news videos. Utada magic right here and now.